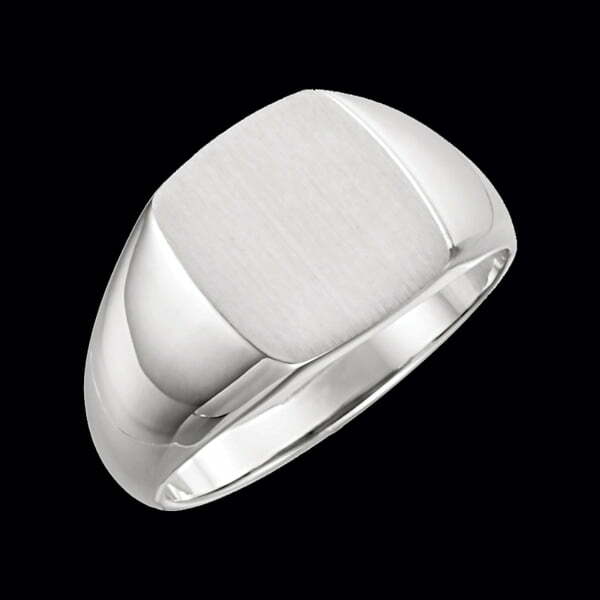 Handsome Men's Platinum Signet Ring. This very stylish men's ring weighs 12.19grams and top measures 13mm x 12mm. Additional sizes available but custom non-returnable. Email for engraving options. This ring weighs an incredible 12.19grams.